In this article, we have tried to collect the most useful articles from our blog to help you make sense of small business accounting for your e-commerce business, so you can sail through tax season as easily as possible. The first steps you’ll take are to get your business registered with the appropriate state and federal agencies and to complete any necessary documentation for your brand assets. 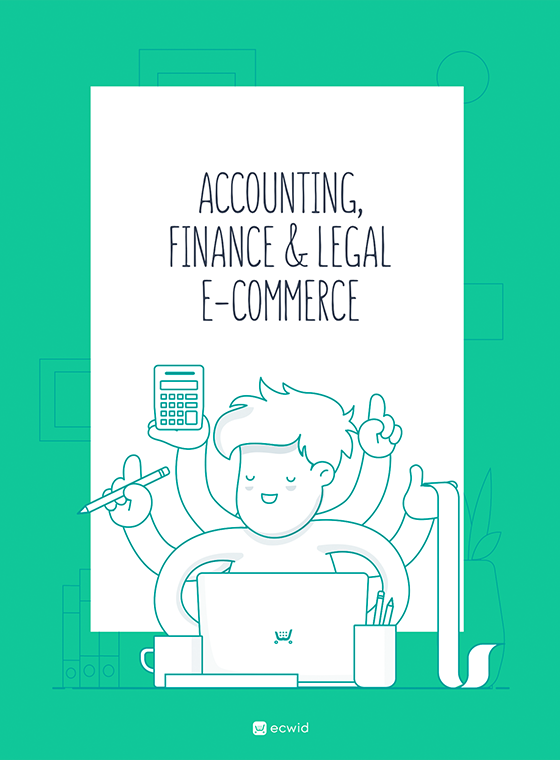 Registering Your E-commerce Business: LLC or Corporation? Here we’ll cover the basics of setting up shop as a sole proprietorship, an LLC, or a corporation. Find out how to get your trademark officially registered so your branding is one-of-a-kind. Next up, you’ll want to make sure your finances are in order for hassle-free bookkeeping, accounting, and an easy-breezy tax time. Create a budget for your business and get your financing in order before launch. If you’re looking for a lawyer but are concerned about the costs, be sure to consider first looking into low-cost resources for legal advice and tools. Accurate record-keeping is essential for proper reporting and reliable financial records. Learn what you need to keep the financial side of your business squeaky clean. Find the right tools to properly document your business finances and for quick overviews on how your business is performing. Inventory tracking is a big part of accurate expense tracking, so find out how to best tackle stock count. Using your bookkeeping numbers as a guide, you’ll want to regularly monitor your margins and potentially re-evaluate your pricing strategy as your audience grows and the market changes. Here are some helpful pricing resources that can help keep you at the right price point. Learn the optimal way to price your products within the ever-competitive online marketplace. Think of this as Pricing 101. Discover how to tackle pricing strategy so you’re always at the best possible price point for solid margins. Get up to speed on three different approaches to e-commerce pricing that can take your store to the next level. Learn how to increase your margins without raising prices and losing customers. Take advantage of automated pricing tools that save time and optimize your strategy. Once your business starts to grow, you’ll need to hire help to scale your business. Find out whether you should hire employees or work with independent contractors. Find out how to scale your business and hire the type of help that’s right for your business. Selling products online means understanding how sales tax works. Use these resources to ensure you’re on the right track for collecting sales tax during the year. A basic getting started guide for collecting sales tax as an e-commerce store. Must-know tips to help with preparing for tax season. Why Do U.S. Sales Tax Rates Vary So Much? The question on every retailer’s mind. Find out why rates vary by location. Understanding VAT and what it means for your online store. Find out how a tool like TaxJar simplifies the sales tax process. Beyond sales tax, there are some basic tax guidelines you should be aware of. Become an expert on what’s expected of you at tax time as an online business owner. How to use built-in platform tools for simpler tax calculations. Be sure you’re taxing at the right level based on the type of business entity you’ve selected. Basic tips for guaranteed tax compliance. Optimize the tax setting in your store for accurate charges and less stress. Now you have a clear understanding of what you need to do to make the tax man happy and get your e-commerce accounting in order.